If you’ve been following along for a while, then you probably already know that over the years, I’ve painted several pieces of furniture and two sets of cabinets using different brands of chalk paint. 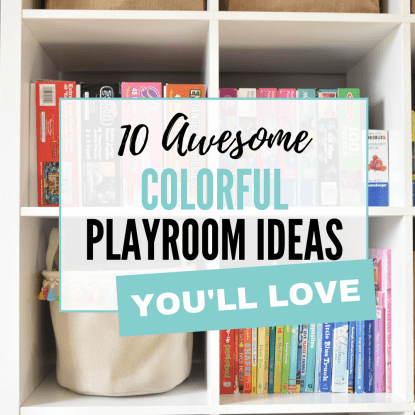 There’s our laundry room cabinet makeover, my daughter’s IKEA chair, and my son’s bookshelf, to name a few. So when I heard that Behr had introduced a new line of chalk paint, I was pretty curious to test it out to see how it compared to the other brands I’ve used. This post contains affiliate links. Thanks for your support! Learn more about affiliate links here. 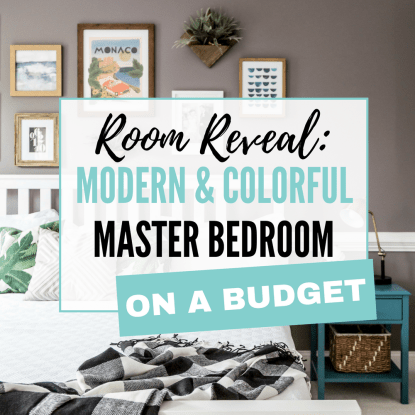 And so for the latest room refresh I worked on — the kids’ shared colorful bathroom (it’s 80% done, and you can see the before and after pics right here) — I decided to paint the bathroom vanity and wooden shelf brackets using Behr Chalk Paint, which is sold exclusively at Home Depot. Here’s a peek at the vanity and the shelf brackets, both painted using Behr chalk paint. So pretty, right?! I love that blue! It’s called Balboa. Before we dive into my thoughts on Behr Chalk paint, let’s get a few basics about chalk paint in general out of the way first…. Chalk paint is, simply put, a type of paint that gives you a velvety matte finish. Not to be confused with chalkboard paint, because that’s something totally different. Why is chalk paint so popular? The finish is super matte and looks chalky — no sheen here, folks. Chalk paint sometimes requires less prep work than if you’re using other types of paints. Some people claim that painting with chalk paint doesn’t require priming or sanding, although I call BS on that…but we’ll save that for a different post. 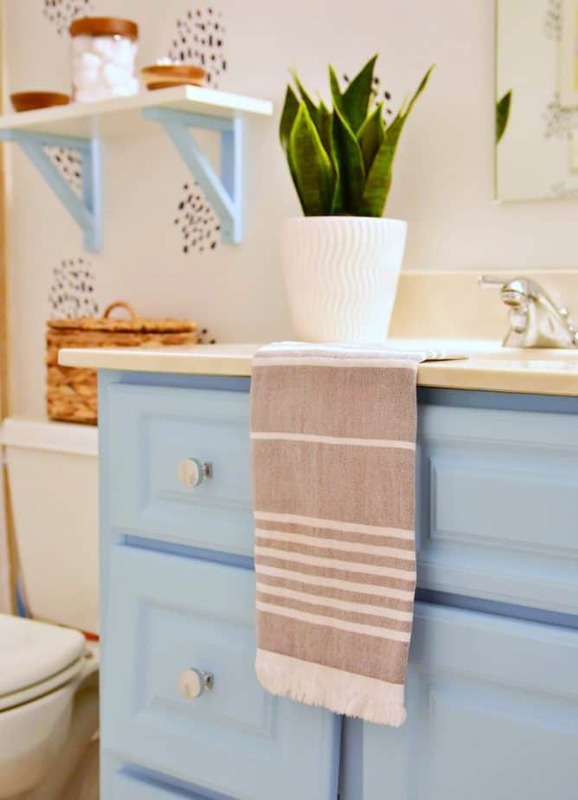 A DIY’er of ANY skill level can use chalk paint and get a pretty solid result. This, you guys, is my #1 reason for loving chalk paint. More on that in a minute. 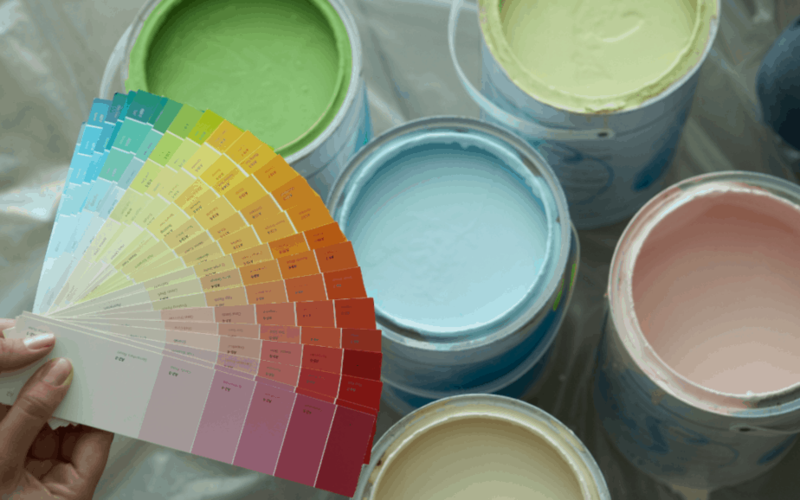 How many different kinds of chalk paint are there? Quite a few. You’ve probably heard of popular brands like Annie Sloan (the OG of chalk paint, if you will) and Amy Howard, although this post cataloged at least 26 different varieties of chalk paint. 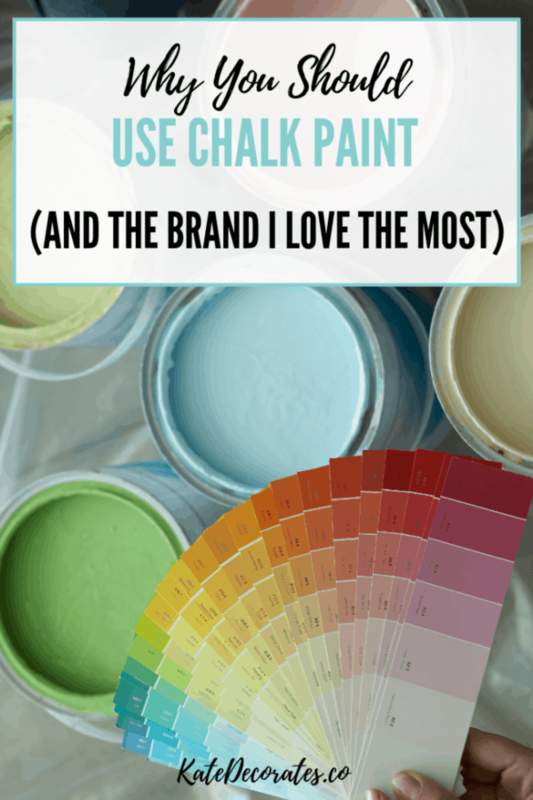 I won’t go into all the different brands here or try to compare every single one on the market — because 1) that’d be super overwhelming for both of us and 2) if you’re really curious, you can Google chalk paint comparisons and come up with plenty of reading material on the topic. Just so we’re clear, this post was not sponsored by Behr. I’m simply sharing my thoughts on this paint that I purchased with my own cash money. My hope is that sharing my own experience will help someone else (like you!) make a decision about whether Behr chalk paint is the right choice for their next DIY project. When I decided to paint the kids’ bathroom vanity (the finished product is below — so pretty, right?! ), I immediately knew I wanted to use chalk paint. Ironic, huh, seeing as how I’m a blogger who tackles home projects on the regular? I know. Over the years I’ve tried my hand at painting lots of things. 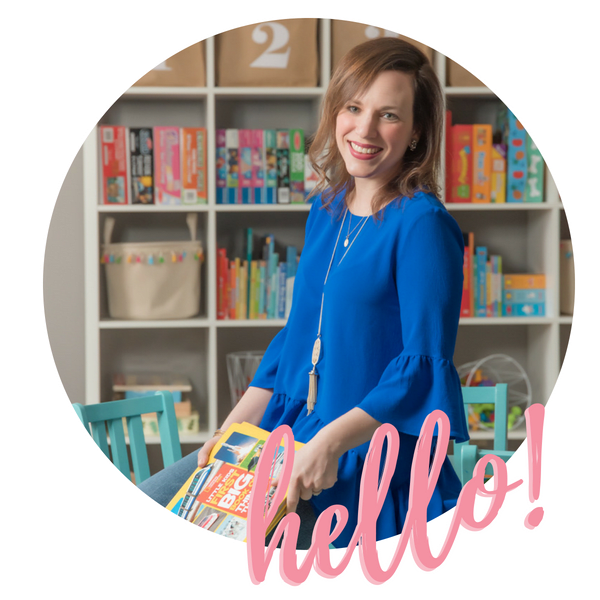 There were the walls in our old townhouse, the bathroom in our rental, and the failed bookshelf makeover I attempted a few years ago…and my poor painting skills every time were, well, poor. I used water-based, oil-based, and latex paints for those past projects and more, and felt so frustrated by my lackluster (and streaky, SO streaky) results that I wound up turning the paint roller over to my husband. I’m not going to tell you to never use any other kind of paint. Many people use all the paints I just mentioned quite successfully. I’m just not one of those people. And that’s exactly why chalk paint is the perfect paint for someone like me. 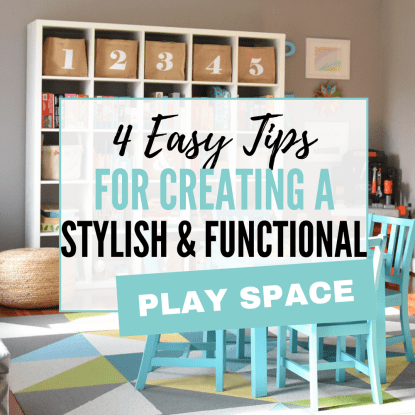 It allows me — a “quick and easy” DIY’er — to complete a project quickly while still getting a great end result. 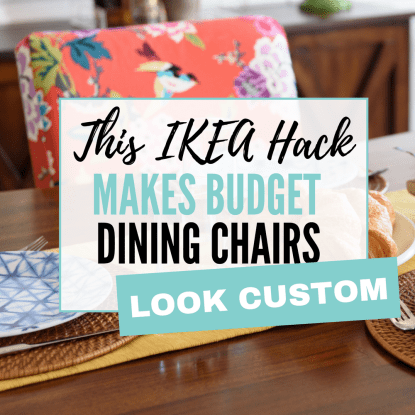 So how did it go with Behr’s new chalk paint? GUYS. THIS STUFF IS AWESOME. 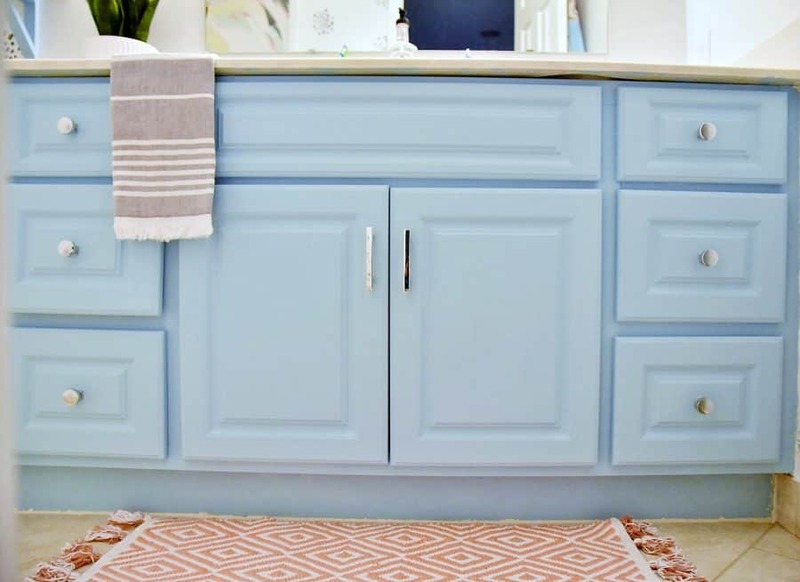 To paint the kids’ bathroom vanity, I followed the exact same process I used when painting our laundry room cabinets using Annie Sloan chalk paint. You can read the full tutorial on how to paint laminate cabinets with chalk paint right over here. Look how pretty! This is SUCH an improvement over our builder-basic white laminate vanity. The quality is on par with other, pricier chalk paints I’ve used. Annie Sloan and Amy Howard are like the Porsche of chalk paints. And in terms of quality, Behr’s paint was just as easy to use and the results were just as fabulous as those I’ve gotten when using the other two brands I mentioned. It’s less expensive than some of the “boutique” brands. Behr chalk paint is $19.98 per quart, while many of the other brands out there can be as expensive as $40. It comes in hundreds of colors. Here’s what I love most about this chalk paint: It can be tinted in ANY of the colors Behr offers. Yep, that’s right — all those walls of swatches you see can be made into a chalk paint. 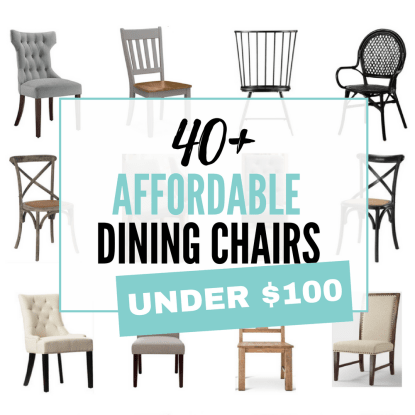 This is a huge deal, because many of the other chalk paint brands come in maybe 30-40 colors. Sure, you can lighten them or tint them or play around with the shade, but that gets time consuming and can be an annoying process, especially if the color doesn’t turn out exactly as you’d hoped after experimenting. There weren’t any noticeable cons when I was painting our vanity. I know, I know…you’re probably rolling your eyes and thinking there must be something I’m not telling you. I promise you: I’m not holding back! And if I’m being totally honest, I think I was skeptical about the quality of Behr at first only because of the price point, especially since I had paid an arm and a leg for other similar paints in the past. So as soon as I discovered that Behr quality was just as good as my gals Annie and Amy (yes, we’re on a first-name basis like BFFs now), I pretty much wanted to shout all of this from the rooftops. Have you guys used chalk paint before? If so, what brands have you loved (or not loved)? And have you tried Behr? I’d love to hear your two cents in the comments! Thanks a million for this review – it was very helpful! I’d been contemplating giving Behr chalk paint a go on a vintage Duncan Phyfe-style dining table but was hesitating. I’m going to buy some today! Bridget, I’m so glad this was useful to you! Good luck with your paint project — let me know how it goes.